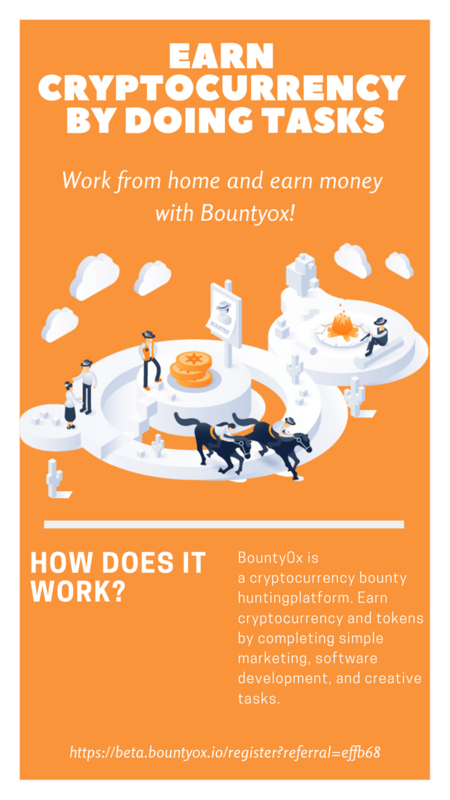 Earn cryptocurrency from home by doing tasks on Bounty0x. Bounty0x is a cryptocurrency bounty huntingplatform. Earn cryptocurrency and tokens by completing simple marketing, software development, and creative tasks. Thanks for sharing i didn't know about crowdholding. If you like to do bounty hunting, i think Bounty0x has by far the best bounty hunting platform.